Nestled in its own private nook on Maroma Beach, The Secrets Maroma Beach offers an adult-only experience like none other. 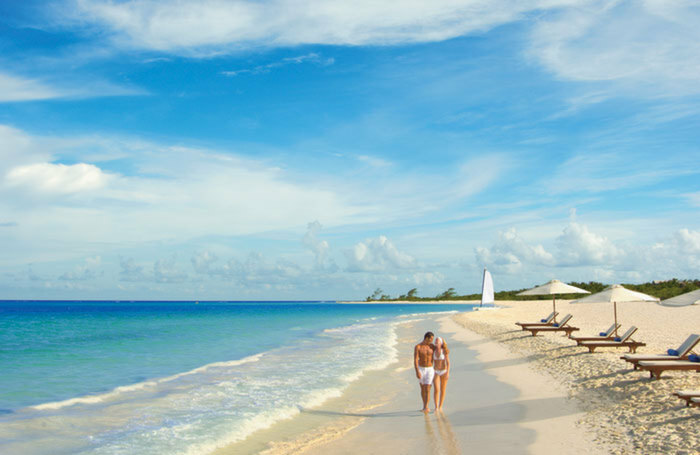 If you were looking for romance during your next visit to Mexico, you’re in luck, because the Secrets Maroma Cancun happens to be one of the best options for couples looking to find some alone time with their life partner. Conveniently located right outside the popular city, Playa del Carmen, guests are close enough to the action, but far enough away from the noise that they can actually enjoy their vacation. Designed to accentuate romance and comfort to its guests, Secrets Maroma Beach Cancun provides its guests with an intimate experience with true luxury. As you stroll into the lobby, you’ll feel the stimulating atmosphere of the marble floors and airy atrium, adorned with marble columns, iron chandeliers, and a colorful array of local furnishings. The spirit of a smooth Mexican night is presented through the vibrant oranges, reds, and dark browns underscored throughout the entire resort. 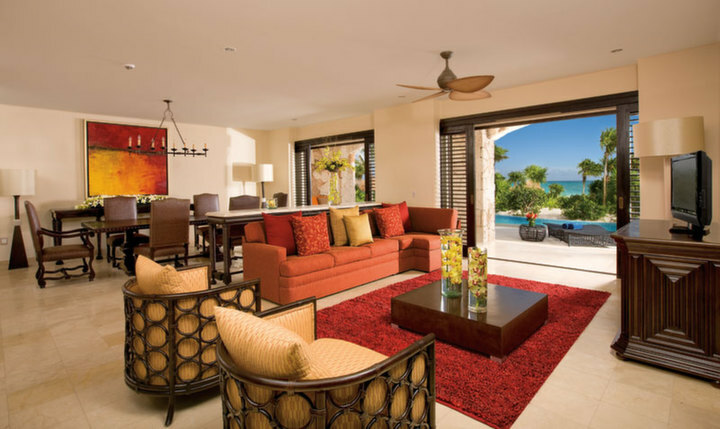 Secrets Maroma goes one step further and provides personalized check-in and check-outs. Rather than waiting in a large room, waiting for a hotel agent to assist you with check-in, there are personalized tables, ensuring each and every booking receives the attention it deserves. 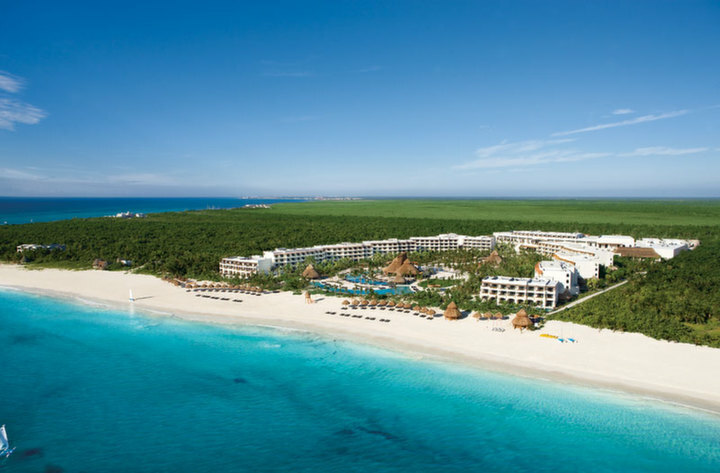 Secrets Maroma Beach would prefer that you didn’t have the cliché Mexico vacation, so they’ve spent time and energy creating something that you will remember forever. The beauty of the resort is the fact that they offer you so many different ways to enjoy romance and passion, that you’re sure to sustain a deeper connection with the one you love most. A day at the spa is without a doubt one of the greatest pastimes the world has ever discovered, so treating yourself to that special time is very important. At Secrets Maroma Cancun, they provide you with proper restorative techniques, thus creating a sense of complete relaxation. With natural stone walkways, mosaics, and a dimly lit atmosphere, you’ll feel at absolute ease while you receive spa treatments. For a total couples experience, try the the romance package, where Secrets Maroma Resort provides dual soaking tubs, outdoor cabanas, massage tables, and a variety of other spa treatments that will completely rejuvenate your senses. The body therapy doesn’t stop there. The pools were constructed to accentuate intimacy, making the whole swimming experience a completely new event. Grab hold on to your partner, float atop a misty lake-like swimming pool, and have the connection you’ve been missing. Life is always better when you can just relax with the one you love most and a trip to Secrets Maroma’s spa is the perfect place to do that. While you’ll find the amenities of the resort to be some of the best you’ve ever experienced, the dining offered by Secrets Maroma Beach Cancun are where their true colors fly. Everything is always surrounded by quality. Bordeaux offers two hundred different wine choices, Porto Fino serves up authentic Italian cuisine, Cocoa Cafe has several types of pastries, pretzels, and breakfast oriented dishes, or take your tastebuds on a trip across the globe and taste what Himitsu Japanese grill is whipping up. You really can’t go wrong when eating out at Secrets Maroma Cancun, because the chefs have rotating menus that will dazzle your tastebuds. Private and special dinners can be arranged in advance, so if you were hoping to have a little private time during dinner, that can easily be scheduled. 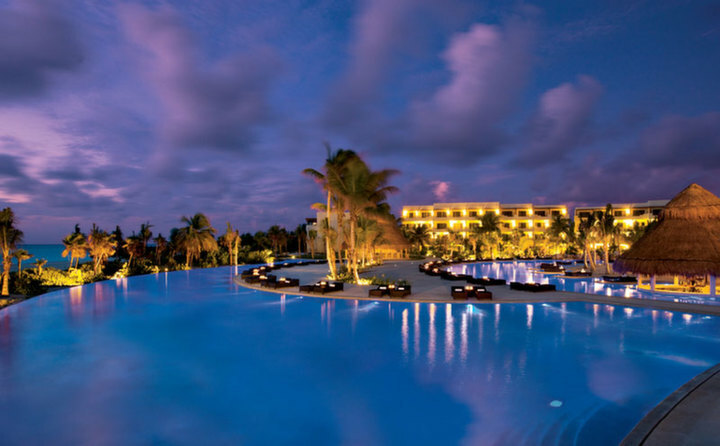 Secrets Maroma deals are some of the most competitive in the Cancun, Mexico hotels, so you can book your vacation knowing you got a great deal. 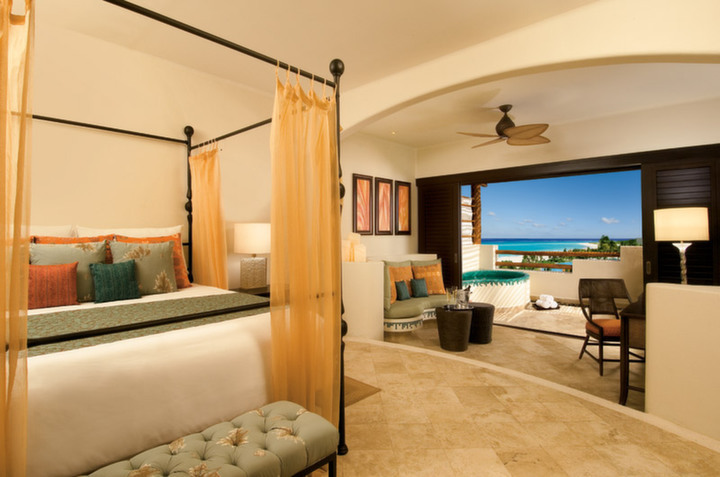 The rooms are just as luxurious as the resort itself. As an adult-oriented resort, you won’t have to worry about noisy neighbors or screaming babies, because most of the guests of Secrets Maroma Beach are looking for the same kind of peace and tranquility as you. The mission at Secrets Maroma Beach Cancun is to make sure that guests get romance, comfort, and luxury at an affordable price. That’s why you can choose from a variety of different packages, until you find one that pleases you. If you need to get away from it all and just want to rest in a romantic paradise with the love of your life, then a stay at Secrets Maroma is inevitable. What are you waiting for? Your dream vacation is only a click away.